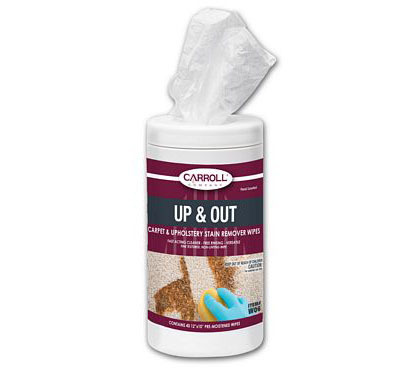 Disposable wipes are formulated for the removal of stains from colorfast carpet and upholstery. Effective in removing pet stains, food stains, grass stains, blood, grease, beverages, latex paint, cosmetics, inks, crayons, shoe polish, markers, and other water based stains. Six boxes of 40 wipes.